"Certified organic and biodynamically grown. 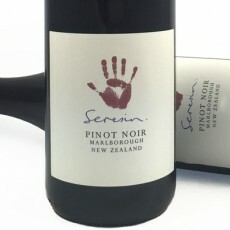 A classic Pinot Noir displaying a complex nose of red berried fruits, reminiscent of cherries and raspberries. This medium-bodied red, has a supple palate and silky tannins, whilst the natural fermentation adds complexity. The finish is clean, pure and dry. Delicious on it's own, or pairs well with game and roast vegetables."